Ashish Goel, Bryan Chan, Ved Chirayath, Tyler Reid and Paul Tarantino decided to launch the weather balloon a few miles from Tuba City, Arizona far out in the desert, and this is the video they eventually produced. 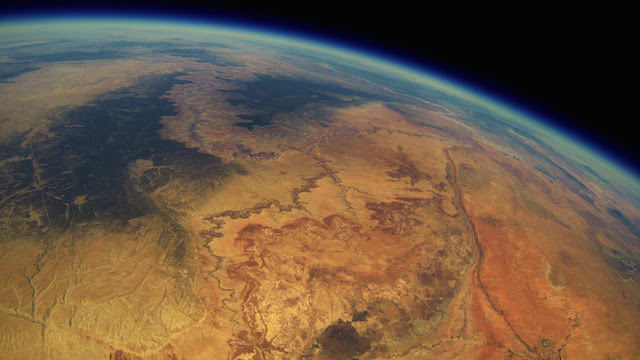 The group’s original plan was to track the motion of their balloon through GPS on a smartphone. The plan was ditched after they lost contact with the device’s location, being out of range of a cell phone tower. Miraculously, two years later a hiker out in rural Arizona had come across a strange box.